plugs of your choice material and size adorned with beautiful acrylic round pieces with a pearlescent finish. 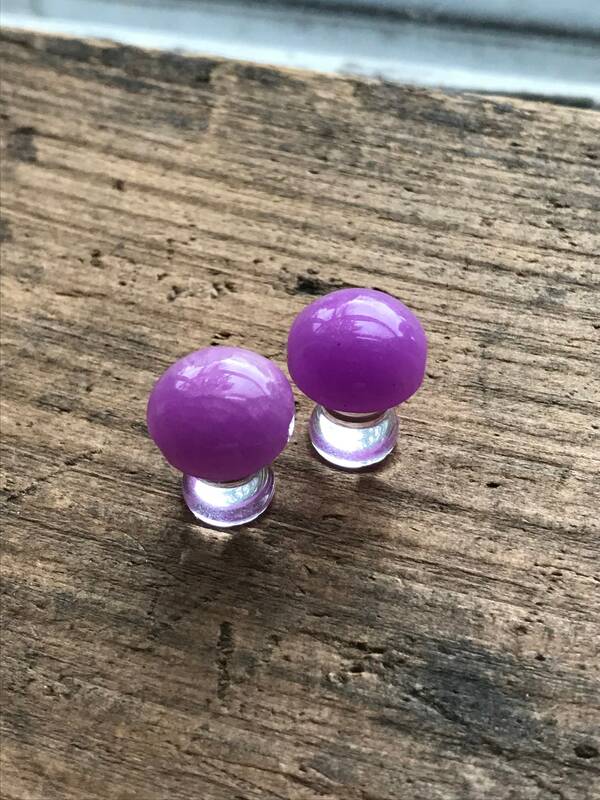 Straight Acrylic plugs Includes black rubber o rings. *Need these in different sizes? Message me or check out my other plugs for sale! Includes a stamped gift box. Such lovely hair combs, very happy with them. Woodland Mini Gold Hair Comb Slides. Gold Oak Leaf and Gold Twig hair comb slides. Woodland forrest hair accessories. If you wish to cancel an order please message me as soon as possible. Unfortunately, I am not responsible for any loss or damage due to the postal service. If you would like to purchase Insurance, please convo me and I can make a special listing for you with the insurance added to the shipping charges. If you have trouble locating the whereabouts of a package, definitely do contact me though, and I can work with you to try to pinpoint your package's current location. I try to make my pictures and description as accurate as possible, but if you are unsatisfied with an item, there is a 1 week return policy. Items must be returned in its original, undamaged condition and I will not be responsible for cost of shipping for the return. Purchased Items are shipped within U.S in 2-5 working days after payment has been received. Shipping rates are determined by size and weight of the item. Seller is not liable for lost goods. Shipping insurance and delivery confirmation is also available for an extra fee to ensure safe delivery just let me through convo or through "message to buyer". If you do not receive your order in a reasonable amount of time please message before leaving feedback. Jewelry: To keep your jewelry in tip top shape I recommend removing before contacting with water. Wash your acrylic plugs with soap and warm water and let air dry. Avoid using hydrogen peroxide as it can damage acrylic. How many plugs come in a listing? All orders include a stamped kraft box or muslin bag ready to give as gift or to simply treat yo self.